Vienna Dentist – Is Your Jaw Sore? Your dentist in Vienna can examine your jaw in order to diagnose TMD. Your dentist will check for locking of the jaw while opening and closing your mouth. Additionally, your bite and facial muscle function will be examined, and your dentist will evaluate your jaw pain and tenderness. In some cases, x-rays will be taken to check your jaw, jaw joint, and teeth for irregularities. It can be difficult to diagnose TMD and TMJ because the symptoms of these are similar to symptoms of other health issues such as toothache, arthritis, and sinus problems. However, you should schedule an appointment with your dentist Vienna if you experience any of the symptoms of TMD and TMJ. There are precautions your Vienna dentist recommends to avoid TMD and TMJ problems from arising. First, you can avoid hard foods and excessively chewing gum. Although gum can have many oral health benefits such as preventing cavities and tooth decay, it can tire your jaw and cause some soreness if you are not accustomed to regularly chewing gum. Another way to prevent TMD problems is to develop and practice relaxation techniques to reduce tension in your face and jaw. Clenching, especially in your sleep, can cause tension in your jaw, so you can reduce soreness by learning to relax your jaw. For example, by placing the tip of your tongue at the roof of your mouth, your jaw will automatically relax, reducing some of the tension. If you struggle with clenching your jaw while you sleep, you may want to consider getting fitted for a mouthguard from your dentist Vienna VA. If you are feeling soreness or tenderness in your jaw, you should schedule an appointment with your dentist in Vienna VA in order to receive a proper diagnosis and to explore your options. Your dentist can help you to maintain a beautiful, healthy mouth that is free of discomfort. If you are in the habit of chewing sugarless gum on a regular basis, you’ll be happy to know that this can have a positive effect on your oral health. It is a simple way to give your oral health a little boost. If you don’t typically chew gum, your dentist Vienna VA recommends picking up a pack. Chewing gum increases the flow of saliva in your mouth. Your saliva washes away acids, sugars, and food debris in your mouth, preventing tooth decay and cavities. The flow of saliva can help to strengthen your tooth enamel, helping you to maintain strong, beautiful teeth. Your dentist in Vienna recommends chewing gum right after you eat for about 20 minutes to best fight off cavities caused by food consumption. Not only does chewing gum protect your teeth, but it can also help your gums. Chewing gum reduces plaque build-up, which is a way to prevent gingivitis and periodontal disease. Although this is not a cure to gum disease, chewing gum is a helpful way to supplement your oral hygiene in between visits to your Vienna dentist. In order to maximize the benefits of chewing gum, your dentist in Vienna VA recommends that you look for sugar-free gum, specifically gum that has been sweetened with xylitol. Xylitol prevents harmful bacteria from lingering in your mouth, reducing your risk for cavities. Additionally, xylitol can help to repair damage to enamel, strengthening your smile. Although chewing gum can be beneficial to your oral health, it is still very important to floss daily and brush twice a day. Chewing gum should serve as a complement, not a substitute. Additionally, you should regularly schedule visits with your dentist Vienna to ensure that you maintain the best possible oral health. Alzheimer’s Disease is a progressive mental deterioration which leads to loss of neurons and intellectual abilities such as memory and reasoning. This can occur in middle or old age, and it hinders social and occupational functioning. Alzheimer’s Disease is caused through a combination of hereditary, lifestyle, and environmental factors, affecting the brain over time and leading to brain shrinkage. Alzheimer’s is a terminal disease, and while the average life expectancy after diagnosis is eight to ten years, some people may live up to twenty years with it. Although studies have not yet yielded conclusive results, research suggests that there is a possibility that exposure to inflammation in the mouth can quadruple your risk of developing Alzheimer’s. This inflammation can be caused through chronic periodontal disease, which your dentist in Vienna says is a preventable risk factor. If this link is confirmed, scientists will have proven that the prevention of periodontal disease can also help to reduce the risk of Alzheimer’s later in life. While the studies are still inconclusive, this link has the potential to further demonstrate the importance of maintaining good oral health for your overall well-being. Your Vienna dentist highly encourages daily brushing and flossing in order to reduce the risk of periodontal disease and inflammation in the mouth. Additionally, regular visits to your dentist Vienna VA will help you to maintain a beautiful smile, as well as overall good health. If you have any questions or concerns about your oral health, you should not hesitate to schedule an appointment with your dentist Vienna. Your dentist wants to help your beautiful smile to last a lifetime, especially since your oral health contributes to your overall health. After having a tooth extracted by the dentist in Vienna, it takes time for your mouth to heal. You have just undergone a procedure that will benefit you in the long run, and you are looking forward to your once-again healthy smile. During the healing process, though, it is important to take certain precautions to avoid a condition called alveolar osteitis, or dry socket. When you have a tooth extracted by the dentist Vienna, a blood clot forms over the socket in order to keep the bone and nerves protected. Sometimes, though, this blood clot can become dislodged prematurely. If the mouth has not healed sufficiently at the time of the dislodging, the bone and nerves are exposed to air, liquids, and food, and dry socket occurs. It is an uncomfortable experience that can last for about five or six days. While dry socket is definitely something to keep on your radar, it is an uncommon occurrence in most patients. Dry socket is most likely to develop within the first week or two after you have had a tooth extracted, and only about 2% to 5% of patients develop this condition. Still, the Vienna dentist recommends the following precautions in order to prevent this from happening to you. First, you should avoid intense exercise for at least 24 hours after the extraction. It is important to rest up and avoid excessive movement while your mouth begins to heal. Your dentist Vienna VA also recommends that you avoid drinking through a straw for at least a week after receiving an extraction. The suction from the straw could cause the blood clot to dislodge. Additionally, you should avoid spitting in order to reduce the risk of dry socket. 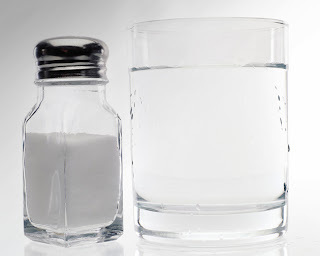 After the initial 24 hour period, you should begin gently rinsing with warm salt water about four times a day in order to remove any food particles in the area. Although some patients have a greater risk of developing dry socket than others, all patients can avoid this condition by closely following after-care instructions from the dentist in Vienna VA. If you have received a dental implant from your dentist in Vienna, you have invested both time and money into the future of your smile. It is important to protect this investment in order to maintain good oral health. There are certain steps you should take after undergoing a dental implant procedure in order to care for your mouth. After the procedure, your mouth might be tender at first. This tenderness only lasts about ten to fourteen days. 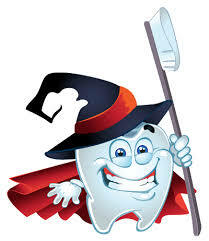 Your dentist Vienna recommends a diet of warm soup, soft foods, and cold foods during this time. Additionally, you should refrain from smoking. Although the healing time for a dental implant tends to vary depending on the patient and the situation, it generally takes between two and four months for your mouth to fully heal after receiving a dental implant. You will not experience discomfort throughout this period, though. In order to maintain good oral health, it is important to continue to regularly visit your Vienna dentist. Your dentist can clean the areas that you are unable to reach. Additionally, your dentist Vienna VA will be able to check the surrounding gums and bone to ensure that they are healthy. As always, your dentist in Vienna VA recommends thorough brushing and flossing on a daily basis. Paying attention to your oral hygiene will ensure that your implant survives. If you continue to maintain good oral hygiene, your implants can last a for the rest of your life without a need for replacement. People who live with diabetes are two times more likely to develop gum disease. This is because diabetes makes the body more susceptible to bacterial infections. Gum disease develops gradually which is why it important to see your Dentist in Vienna regularly to prevent gum disease from occurring or getting worse. 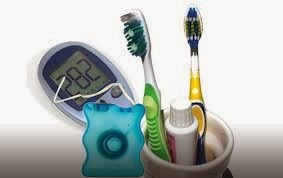 Early Gum Disease: Diabetes lowers your resistance to infection and slows down your healing process. Because so, you are at a higher risk of developing gum disease. When plaque isn’t removed promptly, it will harden and turn into tartar. Once tartar starts to build up and irritate the gum lines, you will produce an early form of gum disease known as gingivitis. With gingivitis, your gums will become inflamed and tend to bleed easily. Once gum disease is prevalent, only your Dentist in Vienna can help to maintain the disease and prevent it from progressing. Periodontitis: If gingivitis is left untreated, the infection becomes more serious and moves from your gums to the soft tissue and bone structure of your teeth. This more serious condition is called periodontitis. 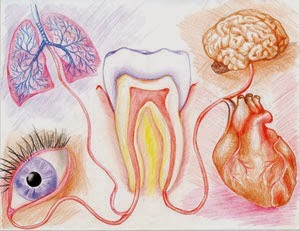 Having periodontitis can result to tooth loss and increases your chances of stroke or heart attack. Also with periodontitis, it can make diabetes harder to control. Be sure to consult with your Vienna Dentist for periodontitis solutions. Maintaining proper oral hygiene every day can help you reduce the risk of developing gum disease. It is important to remember that living with diabetes requires a lot of special attention to your health, including oral health. Be sure to see you Vienna VA dentist regularly to help prevent gum disease from progressing. Also, it is important to notify your dentist that you have diabetes so that they will be able to better assist you. With a regular trip to your Vienna Dentist, you should be able to prevent tooth decay from progressing. But if cavities do form, be sure to see the Vienna VA dentist right away to prevent any additional damage that can occur to your tooth or to relieve any discomfort you may feel. Overall, it is important to practice proper oral care. Children usually follow the footsteps of those who set positive healthy habits so be sure to talk with your children about the importance of practicing a twice-a-day brushing and flossing routine. Your Dentist in Vienna can also provide different options to help keep your child’s teeth healthy, such as dental sealants or fluoride rinses. If you have any questions about maintaining a healthy and clean smile for you or your family, be sure to contact your Dentist in Vienna VA for more information. Many people want a smile they can be proud of and one way to achieve a dazzling smile is to have pearly white teeth. However, in order to maintain a bright smile, the Vienna Dentist says you should be mindful of the types of things you consume. Because of certain factors, some foods or beverages can create harsh stains on your teeth that over time can be difficult to remove. When considering foods that can stain teeth, be sure to look out for dark pigments. Some foods or beverages stain teeth because they have an intense amount of pigmented molecules that the Vienna VA dentist call chromogens. These chromogens latch on to dental enamel and cause your teeth to become discolored. Another thing to look out for is foods or beverages that are very acidic. Acidic foods and beverages can cause staining by eroding the dental enamel which temporarily softens teeth and makes it easier for chromogens to latch on. One rule of thumb for determining whether or not what you’re eating will stain your teeth is to determine if it will stain your white table cloth or carpet. Some of the main foods or beverages to consider would include, wine, coffee, cola, berries, sauces (such as soy sauce, curry sauce, or tomato sauce), and sweets. Also another main culprit for staining teeth is smoking or chewing tobacco. Even if you consume dark pigmented or acidic foods, just know that there are a variety of options to help you achieve a pearly white smile. One option that can help prevent stains on your teeth would be to brush and floss twice-a-day. To brush more effectively, be sure to ask your Dentist Vienna about electric tooth brushes. The electric toothbrush gives you the ability to clean your teeth and to help remove any stains or residue more thoroughly. 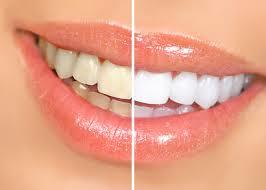 Also be sure to ask your Dentist Vienna VA about teeth whitening treatments that can be provided in office or at home.